If you know me, you know I LOVE my romances. I read romances, I write romances, and I'm studying the romance genre for my dissertation. When Bubbles and Books asked if I would do an unboxing for them, I immediately said, "YES!" What romance lover wouldn't want a romance genre book box? We can't forget the adorable button! 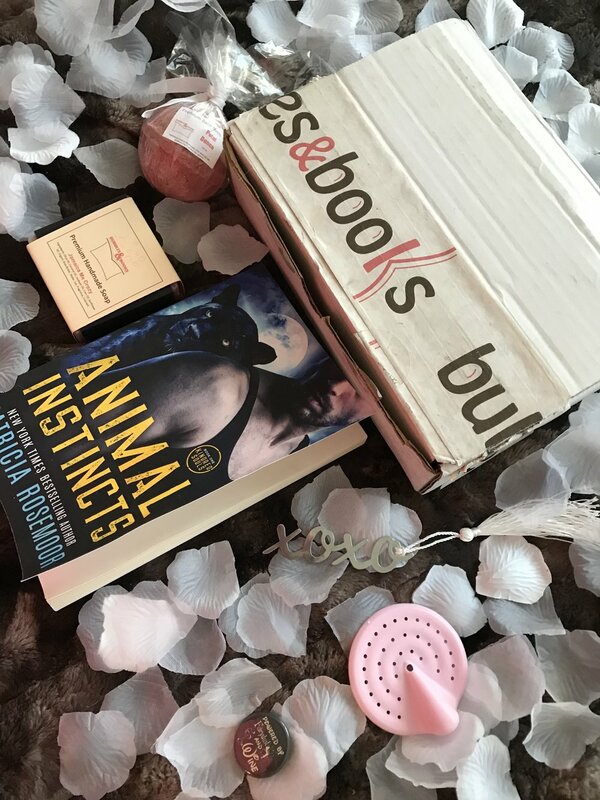 Add Animal Instincts to your Goodreads TBR here. Quality “Me Time” is in short supply these days—and we want to fix that. Winding down at the end of the day with a steamy bath and a good book is one of life's simplest pleasures. Plenty of suds and floral-infused soaps (lavender is my go-to! ), water as hot as you can handle, a few flickering candles, one giant steaming mug of herbal tea and, of course, a great romance book to transport you away! You deserve this! If you don’t find (at least!) one moment of bliss with Bubbles & Books, we’ll give you a full refund. Join their mailing list (via their website) for 20% off your first box!